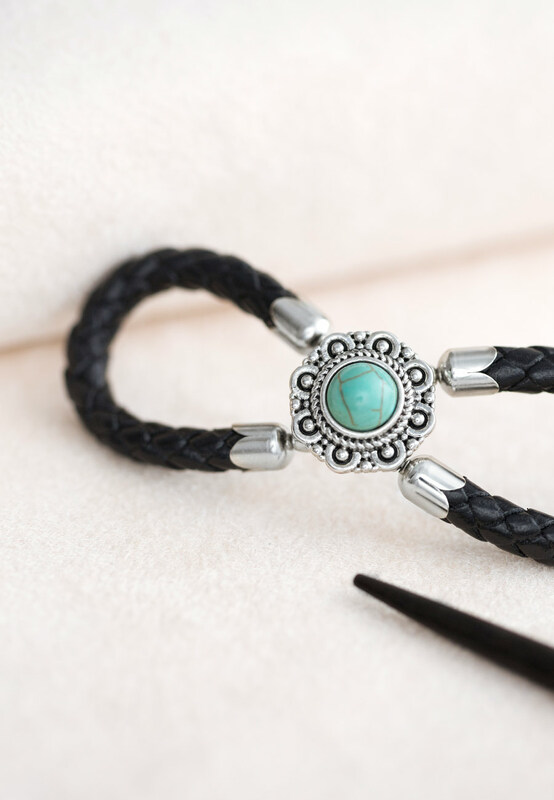 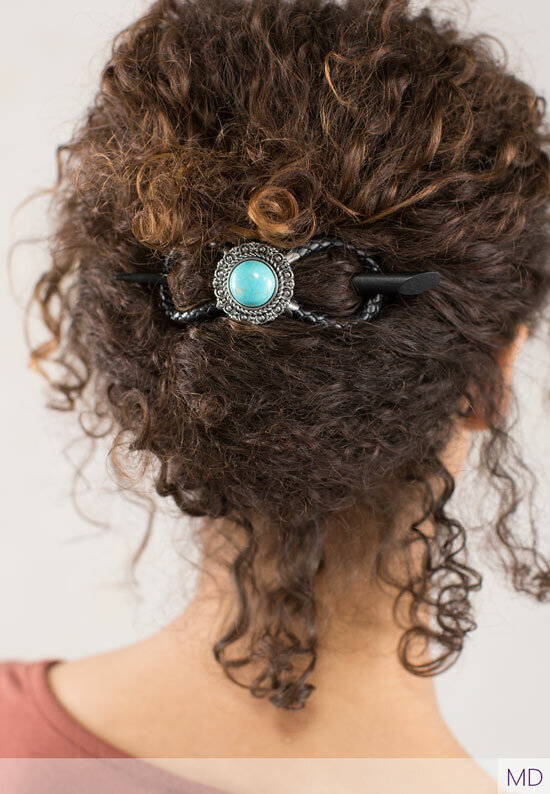 Nina provides a southwest feel with turquoise colored stone and black genuine leather braided and shaped into the flagship Flexi Clip. Suggested with the natural espresso stick for a complete look. 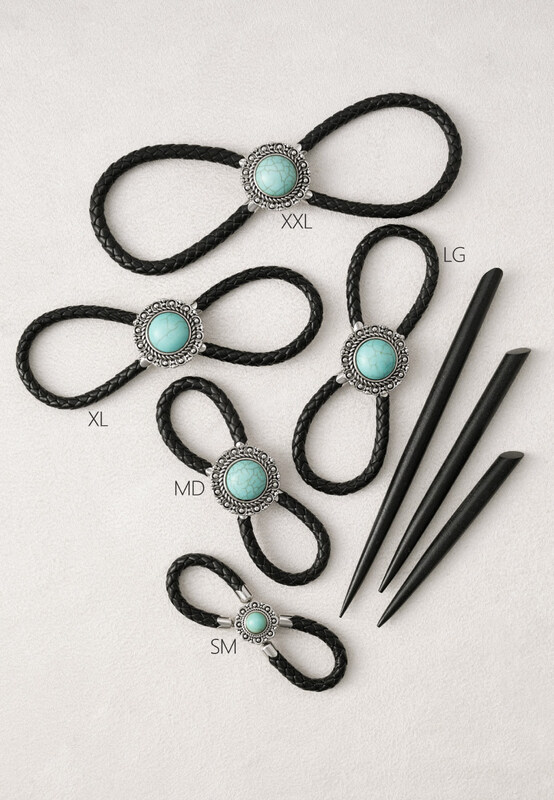 Many other hair sticks styles are sold separately for a customized option.